There were lotuses overflowing all around. In little plastic water bottles and bigger paint buckets. 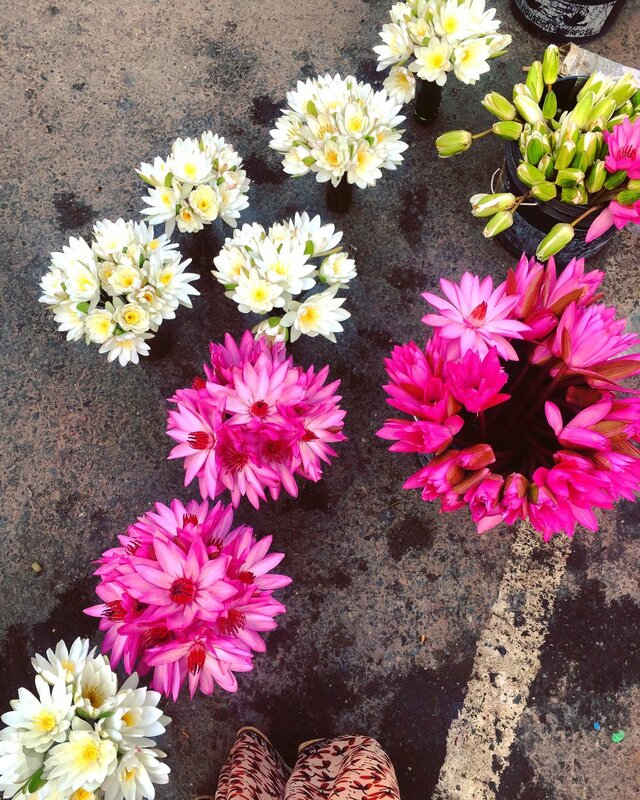 It was as if the lush flowers found their ponds in the plastic of everyday lives. 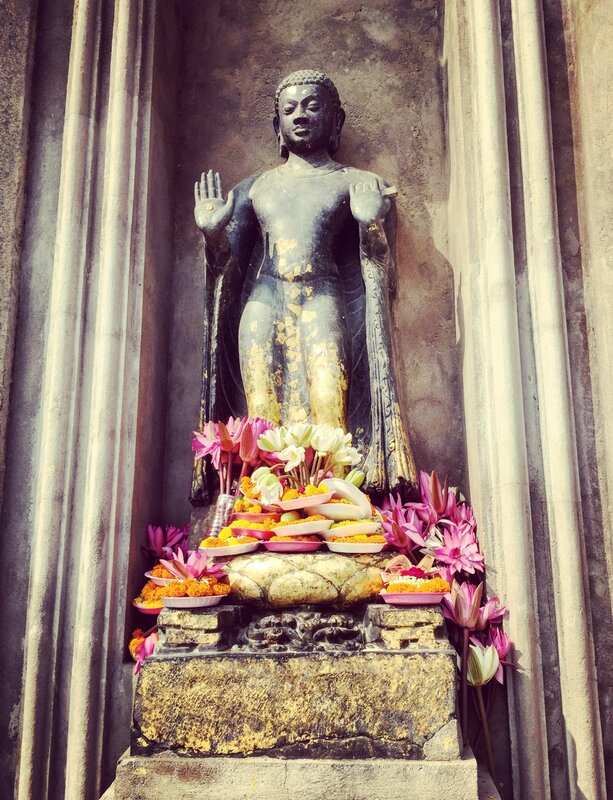 I was in Bodhgaya, Bihar with a group of friends for the Siddhartha Festival last year. Put together through a collaborative effort by various organisations, the festival was a confluence of ideas and teaching, and was held in the Mahabodhi Temple complex. At the time, the Bodhgaya airport was closed for repair and re-carpeting of the runway, so we had to go through a crazy 250-kilometre road trip from Varanasi to Bodhgaya. It was a bumpy ride, and to add to that, the mini-van we were in had suffered a tire puncture while we were driving. 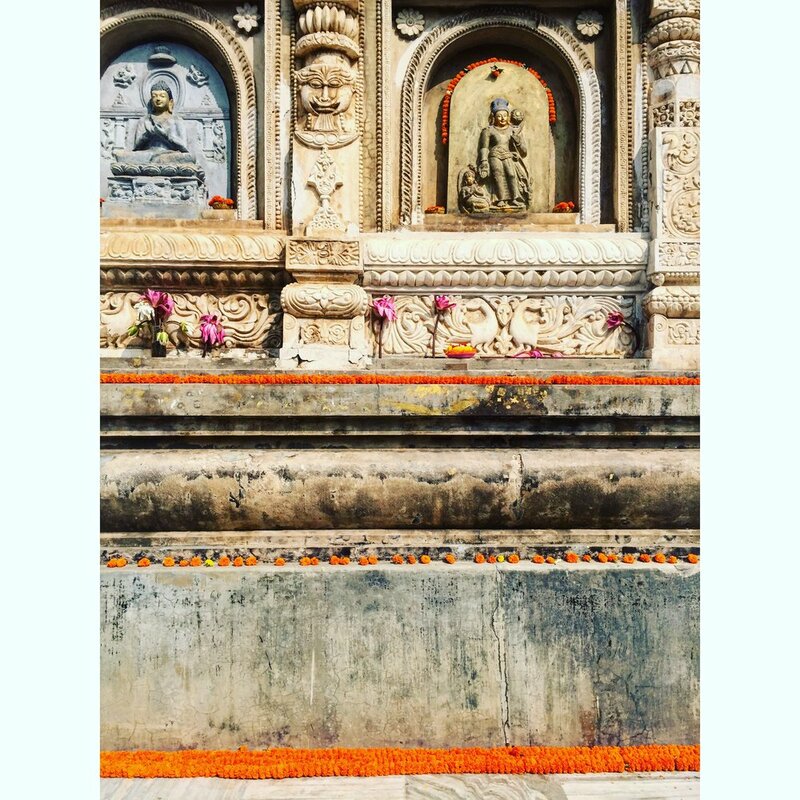 Barring the chaos of the trip itself, the three days at Bodhgaya were all about spirituality. To think, we sat right under the same Bodhi tree that the Buddha too (in person!) had sat and meditated under before finding Enlightenment within himself and the world around him. All three days of the festival were about love, respect for each other, and respect for all religions, all in the spirit of Buddhism. We chanted, meditated, and listened to fascinating teachings by Dzongsar Jamyang Khyentse Rinpoche, head of the Dzongsar Monastery in Tibet (among other monks), and watched as the likes of Maneesha Abhay, a Kathak performer who engages with issues such as global warming through her art and ghazal and thumri-dadra performer Vidya Rao, enthralled us all. The people, the conversations, the teachings, all humbled me to be here. It was the whole atmosphere and vibe. Even just spending your days in a place so heavy with history and meaning, makes you think and reflect upon yourself and the world. Milling about the place, and sitting under the Tree made me think back to what the Buddha would've been like— a person just like you and me (even if a prince first), whose work and path he found all within himself. Just the same way, a greater, better path is also within all of us. Sometimes, even just a word that someone uttered, even if a really long time ago, stays within you. At times when you give into daily frustration or suffering, it works a magic that can transform you into rising above it and doing what you must. The scent of the lotuses and everything else at Bodhgaya that November, and the beauty all around do that to me now. I remember it all, and I remember the peace within. Naina de Bois-Juzan is a culinary, design and social media consultant. She splits her time between Paris and Delhi, while trying to squeeze in as much travel as she can.